Ta-da! I made my own extract using vanilla beans I picked up during my trip to Madagascar. Its so very simple, so you should too. 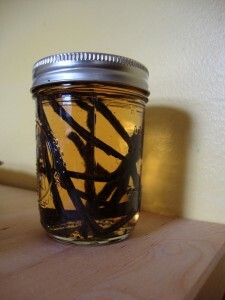 You pretty much just need a jar, some vanilla beans, vodka, two months and a cool dark place. Yeah just ignore that the beans look like tarantula legs in the pictures. And I just opened that bad boy (2 months finally passed by) and compared it to the cheap store version we have at home and I’m not lying when I say there is a world of a difference. 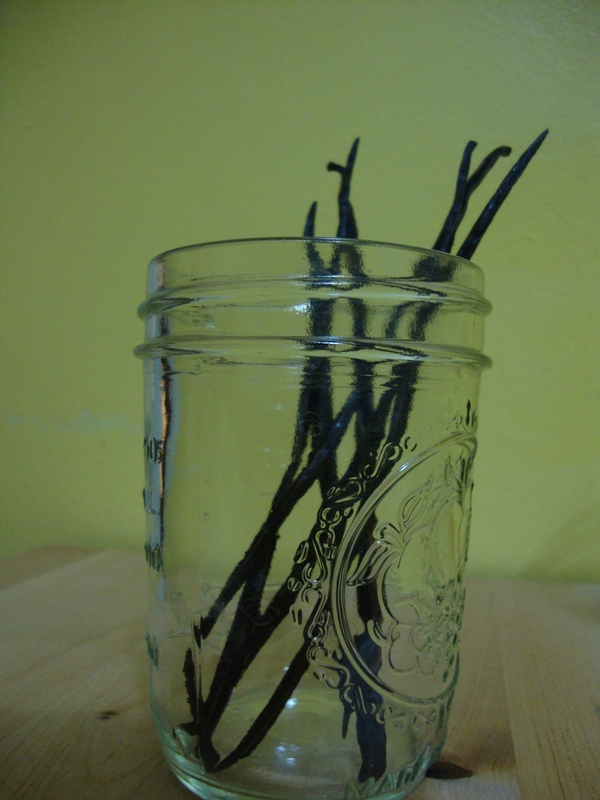 Its hard to describe but it just smells more like real vanilla. You know when you get a dessert at a restaurant like creme brulee and you can tell its made with real vanilla, well its kinda the same thing. I haven’t cooked with it yet, but I’ll be sure to update the post with any differences I notice once I do. So again – very simple. 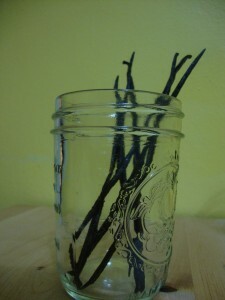 Pour some boiling water into the jar and let it rest for 10 minutes-you know so it gets nice and clean and germ free. 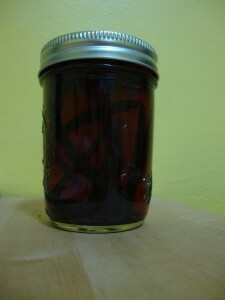 Put the lid on and give it a good shake, then put it in a cool dark place for 2 months (shaking it every so often). The best part? It lasts for years, and you can keep topping it off with vodka, and if you want add you can add vanilla beans leftover from other recipes (just rinse and dry ones that have been steeped in milk) and remove the older ones when it gets crowded.